FACT: on January 22, 2014, AVN published an article titled “Polar doesn’t need dollars at the –cheap- Cadivi rate to produce”. The starting point of the piece is a press release, in which Empresas Polar claimed that their production levels could be at risk if Cadivi didn’t pay the US$463 million owed to them. In response, AVN quoted economic analyst José Piña as saying that Polar didn’t need cheap Cadivi dollars, because it is an exporting company that makes profits in dollars. Also, the US$ 463 million debt would “only” represent 11% of Lorenzo Mendoza’s personal fortune and 7% of Polar’s 2011 earnings of US$ 6.5 billion. CONTEXT: Venezuela’s Central Government owes private companies an estimated US$13 billion. For example, the debt with food companies members of the Venezuelan Food Industry Association (Cavidea) adds up to US$2.4 billion. The debt with Empresas Polar, just like their own press release suggested, comes to US$463 million. The amount is not in dispute. Empresas Polar is a key supplier of food and drinks, including many basic products with fixed prices: corn oil (Mazeite), tuna (Margarita and California), oatmeal (Quaker), corn flour (P.A.N. and Mazorca), butter (Mavesa and Chiffon), pasta (Primor and Gran Señora), melted cheese or cheese sauce (Rikesa), tomato sauce (Pampero) and yoghurt (Migurt). 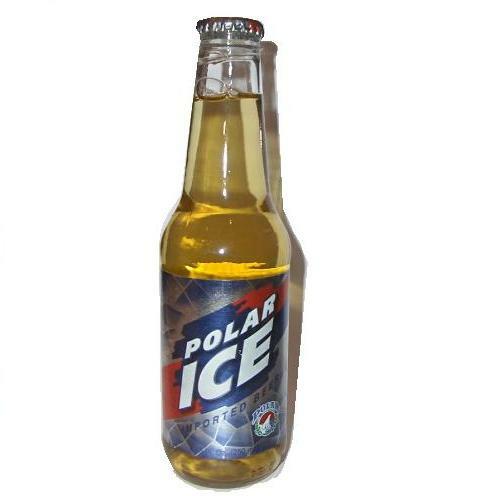 Polar also produces drinks such as mineral water (Minalba), fruit juice (Yukery and Yuky-Pak), malta or wheat soda (Maltín Polar), soft drinks (7-Up, Golden and Pepsi), beer (Ice, Light, Pilsen, Solera, Zero), wine (Pomar) and sangría (Caroreña). It is highly unlikely that a Venezuelan family might end a trip to the grocery store without buying at least one of the many products that Polar offers. In fact, many prefer Polar brands. Polar doesn’t need dollars at the Cadivi rate to produce. Yes, they do. Venezuela’s dependence on imports is such that one of the Central Government’s main solutions to our current economic crisis is to increase public imports (in some cases, paying with oil) and to create a Foreign Exchange Budget to determine what, when, how much and who in the private sector can import. Venezuela also maintains a foreign exchange control since February 2003, which has encouraged imports by selling dollars at an artificially cheap rate, harming local production in the process. Venezuela imports corn, barley, and even butter. The only legal way to obtain dollars –so far- is through Cadivi or Sicad – if any Venezuelan manufacturing company needs dollars to produce, and their production is considered a priority to the economy, Cadivi is the sole legal supplier of said dollars. Purchasing dollars at the black market rate is prohibitively expensive, given the price controls on most of the products that Polar sells. One might think that the Central Government should ease access to dollars for companies that produce basic goods and services, rather than justify the nonpayment of already approved dollars. Even more so: Polar is not asking for a favor, it is claiming payment for a debt. Cadivi approved a certain amount of dollars and failed to pay them. The moment to question the request for dollars is when the request is made, not after it has already been approved. The Central Government won’t pay up, because the company doesn’t need it. The real reason is different. The debt with the private sector –and, for example, the announcement of payments with oil- are a clear sign that the government is short on dollars. In October 2013, Rafael Ramírez -Venezuela’s oil minister, president of Pdvsa and vice president in economic matters- claimed that by the end of 2013 Pdvsa (state oil company that contributes up to 96% of Venezuela’s dollars) would have transferred US$47 billion to the BCV and Fonden, but total imports of goods and services had already reached US$58.9 billion by September 2013. The situation will be even more critical in 2014, because the Foreign Exchange Budget for the year was estimated at US$42.7 billion, US$4.6 billion less than 2013. This means the Central Government expects private companies to swallow their losses, putting their sustainability at risk and belittling their importance to the economy and to the employment sector – the private sector accounts for 58% of Venezuela’s GDP and employs 78.8% of the total workforce. It should also be said that Polar doesn’t produce Plasma TVs precisely, it produces food and drinks. Shouldn’t food and drink manufacturers get preferential access to currency? Isn’t the food and drinks sector the one that is registering the highest levels of scarcity? Polar is an export company. The few sales Polar makes overseas do not come from Venezuela, because Venezuela punishes exporters. The World Bank’s “Doing Business” report shows that, in order to export from Venezuela, 8 different permits are needed, and that the cost per container reaches US$ 3,490. If companies are able to overcome this, the export process would take an average of 56 days, when the world average is 22 days. There are countries, like Estonia and the US, in which the export process takes as little as 6 days. In 2011, Lorenzo Mendoza explained the difficulties to export from Venezuela. He claimed that the Central Government had to approve a certificate of national production, which rarely happened, and that the fixed exchange rate affected the potential profitability. If additional evidence was needed, it should be said that non-oil exports account for just 4% of total exports. To export from Venezuela, the Central Government must approve a “Certificate of National Production”, which confirms that national production covers internal demand and that only “leftovers” can be exported. Given the increasing levels of scarcity of basic products, Venezuela should not be exporting them. If Venezuela were in fact exporting basic goods, it is thanks to the express consent of the Central Government. On the other hand, hasn’t the Central Government been announcing over and over that it will be promoting exports to increase the availability of dollars? So shouldn’t the Central Government be supporting exporting companies, or at least those that could potentially export? The Bodega Complex. It’s more than clear that José Piña, the economic analyst quoted by AVN¸ has little to no knowledge of finance, let alone the difference between corporate finance and personal ones. For a small mom-and-pop store, a “bodega,” one that accounts for the total income of the owning family, one could make the case that both are equivalent. But when we’re talking about a large company that employs thousands of workers and provides for their families, with many different shareholders, there is no equivalence. Mendoza is not Polar, and vice versa. Being rich is a sin. AVN claims that, according to Forbes, “Lorenzo Mendoza is Venezuela’s second richest person and runs one of the country’s biggest private companies: Polar.” We think this should be praised, because Polar is a company that offers a large array of products, most considered basic goods and sold at fixed prices. The company also generates thousands direct and indirect jobs. But there is no recognition for the company’s effort, let alone praise. For the Central Government, being a large private company is not an accomplishment, but a sin. It’s clear the government’s case against Polar is fallacious and misleading. The government should honor its commitment and give Polar the money they owe them.